Frugal Young Moms: FREE Mini Makeup Collection With Purchase From E.L.F. 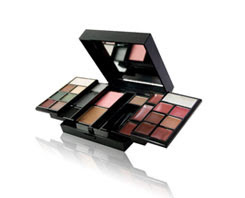 FREE Mini Makeup Collection With Purchase From E.L.F. Since I'm on a makeup kick, I have another freebie with purchase for you. Eyes Lips Face (E.L.F.) if offering a FREE 27 Piece mini makeup collection with any purchase. Just use code ECD13 at checkout.